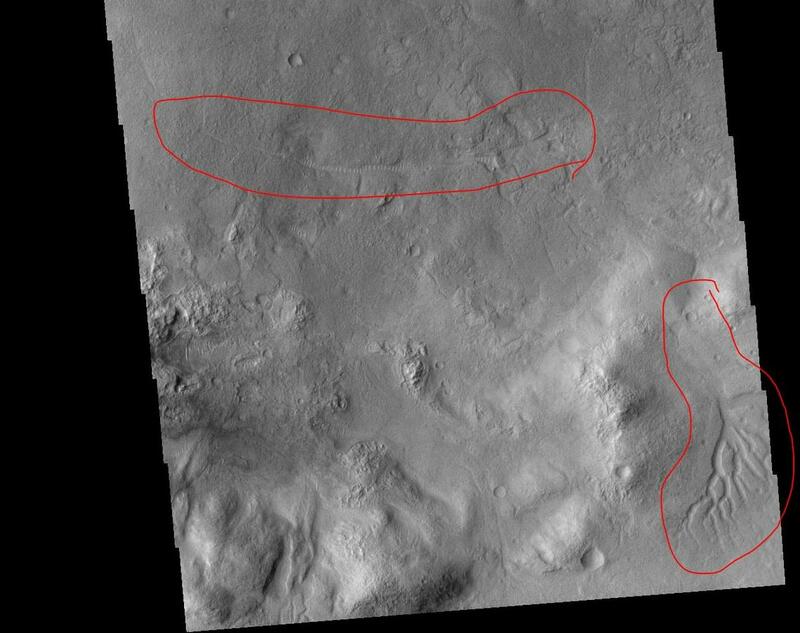 Looking at an image taken by Mars Odyssey THEMIS (Thermal Emission Imaging System) camera of an unnamed crater in Aonia Terra region I noticed what looks like grooves or ridges that resemble a stair like pathway, in what seems like perpendicular direction to water flow. 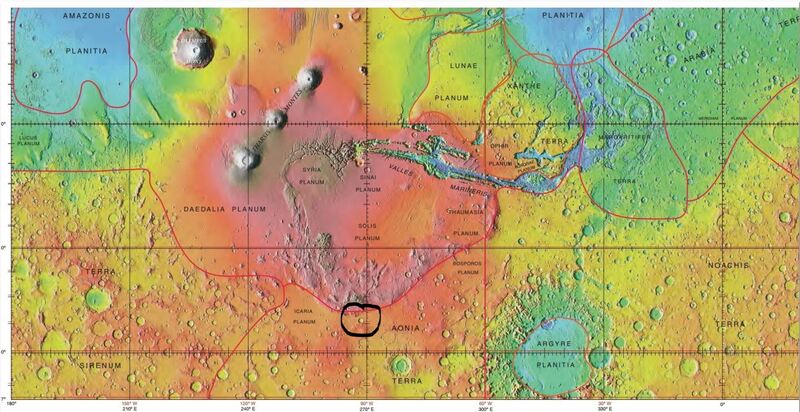 As you can see, on the top-left corner, there seems to be what looks like water outflows, which suggests to me that that corner of the region is "lower" than the other circled area in the lower center of the image. Question is, what could create these ridges that look like stairs or a pathway? If I understand your question correctly, you are looking at an optical illusion. Depending on the direction of the light, craters can look like hills or vice versa. Not the answer you're looking for? 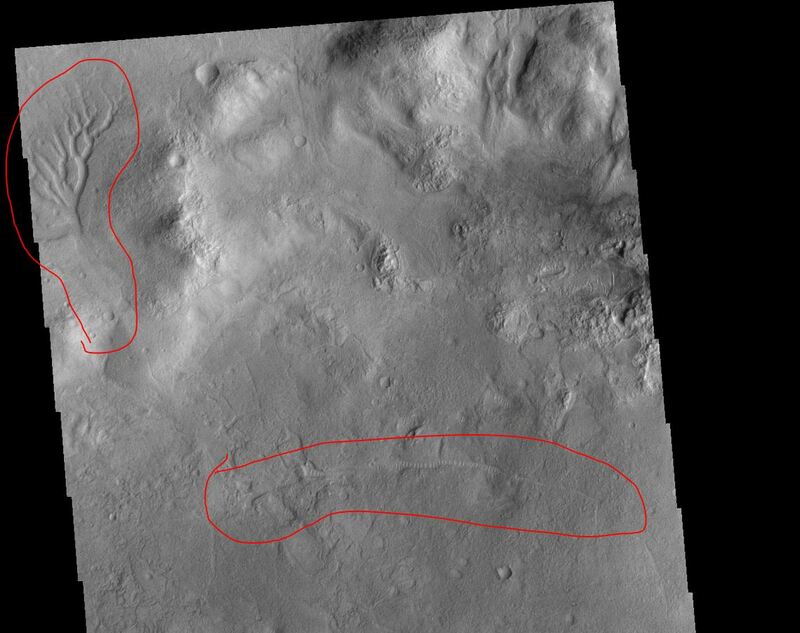 Browse other questions tagged mars rovers water images or ask your own question.